Click on the targets in the map below to find Elabscience products related to the MAPK-ERK Signaling Pathway. ERK is a member of the Mitogen-activated protein kinase (MAPK) family. Its signal transduction pathway is the core of signal networks involved in the regulation of cell growth, development, and division. 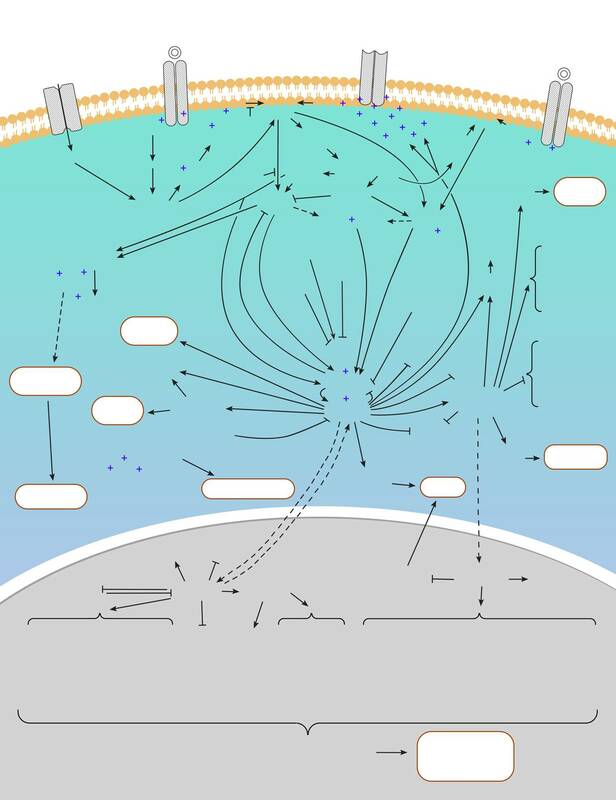 The MAPK-ERK pathway is activated by various receptors involved in growth and differentiation, including receptor tyrosine kinases (RTKs), integrins, and ion channels. Phosphorylated ERK1/2 is transported from the cytoplasm into the nucleus, which in turn mediates transcriptional activation of ELK1, ATF1, CREB, c-Fos and c-Myc, and participates in cell proliferation and differentiation, maintenance of cell morphology, construction of cytoskeleton, apoptosis, and cell canceration.